The following is an extended version of a catalogue essay published in Nicole Foreshore and Brian Parkes, (eds. ), Menagerie: Contemporary Indigenous Sculpture, Object: Australian Centre for Craft and Design, Strawberry Hills, New South Wales, 2009, pp.80-83. 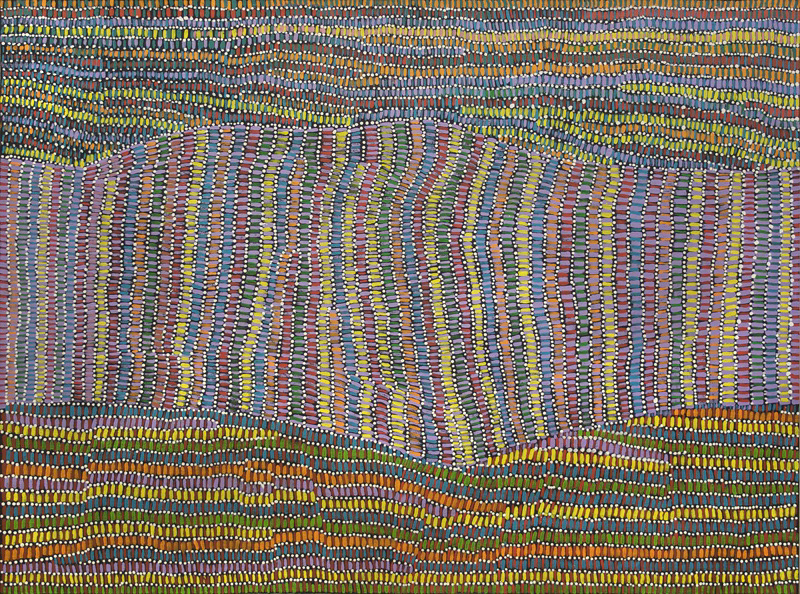 Patrick Kunoth Pwerle was born in 1981 at Artekerre in the remote eastern desert region of Utopia. Since commencing his art practice in 2007, Kunoth Pwerle’s oeuvre has been singularly devoted to the subject of birds. A wild aviary has sprung from his artistic imagination. Whether eagle, owl, emu or hawk, each is created unique, coloured with its own eccentric disposition. But beyond revelling in natural variety, Patrick Kunoth Pwerle’s dedication to avian form reveals an intuitively modernist project of repetition and refinement in which the artist explores the reductive potential of both the sculptural medium and his favoured motif. Kunoth Pwerle is not the first sculptor to become obsessed with the figure of the bird. 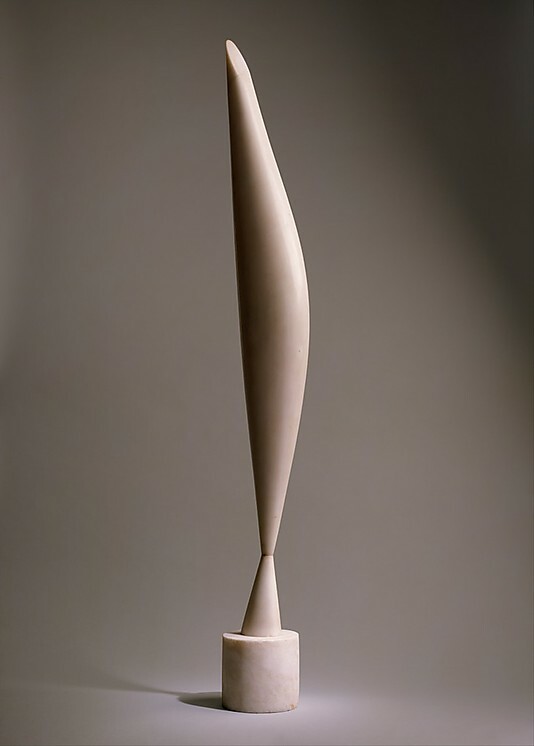 Almost a century earlier, the image of the bird in flight launched Constantin Brâncuşi on a forty-year journey of artistic refinement. Brâncuşi saw his art practice as an evolutionary search for pure form, never abandoning the natural world, but reducing it to its most basic elements in order to lay bare the underlying nature of the image. Comparing the sculptures of Brâncuşi and Kunoth Pwerle, the attraction of the streamlined avian form becomes readily apparent. For both artists, it is a form that is easily suggested using only a small number of oblique visual cues (the curve of the body for instance, or the point of the beak). Over his short career, Kunoth Pwerle has developed a skilful sculptural shorthand for depicting birds, which often relies on no more than a few brief incisions to indicate wings, tails or beaks. Unlike Brâncuşi, who saw the reductive process as a means of capturing the essence of the image, in Kunoth Pwerle’s work this process is used in deference to the unaltered natural medium. Carved from the soft wood of the bean tree (erythrina vespertilio), it is the medium (rather than the image) that dictates form, allowing the natural object to express itself in a totemic intensity. Not only does this enable Kunoth Pwerle to exploit a boundless, naturally occurring variety of forms; more importantly, it offers a distinctly Indigenous metaphor for the connectedness of all things. The figure and the form are united, not in opposition, but in a holistic union, with obvious parallels to the poetic mythos of the Dreaming. The birds are literally returned to the branches as the figure returns to the form; the object to the subject; the aesthetic to the natural order; and so on. 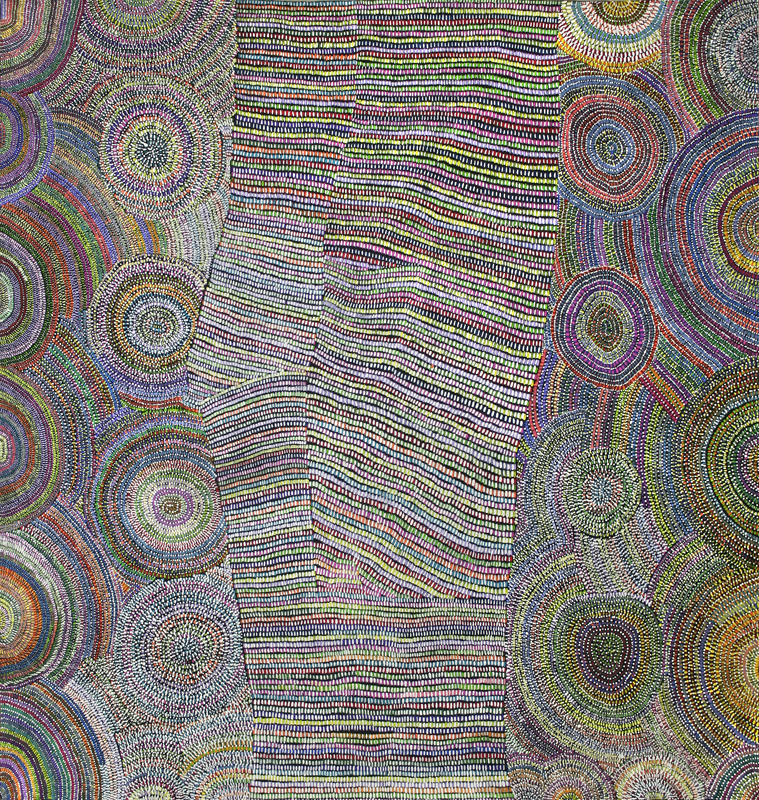 Kunoth Pwerle’s project takes on an evolutionary aesthetic logic that provides a striking metaphor for the intersection of modern art and Indigenous cosmology; something that we might begin to see as a uniquely Indigenous modernism. Patrick Kunoth Pwerle began making art in 2007 under the influence and encouragement of his parents Dinni Kunoth Kemarre and Josie Kunoth Petyarre. Since 2005, Josie and Dinni have spearheaded a revival in the Utopian sculptural tradition that first emerged in the late 1980s under the stewardship of art co-ordinator Rodney Gooch. Since 2007, Dinni and Josie have risen to prominence as consummate observers and compulsive chroniclers. 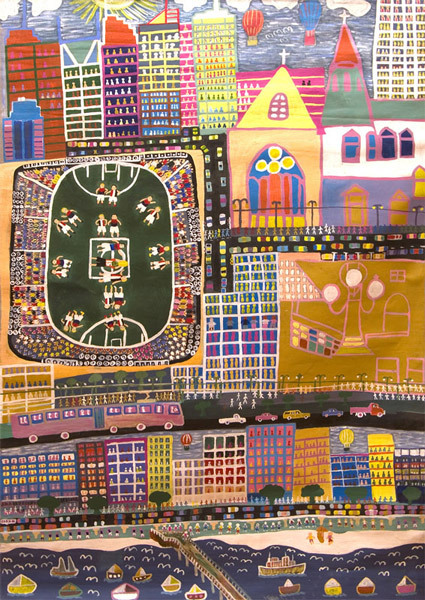 In their art, the minutiae of everyday life becomes a worthy subject for artistic exaltation, demonstrating an artistic vision unencumbered by restrictive binary notions of ‘traditional’ and ‘contemporary.’ Art has always been a part of the Indigenous cultural backdrop, connecting Indigenous people to the world around them and the immutable Dreaming. The art of Dinni and Josie showed just how adaptive this cosmology could be. 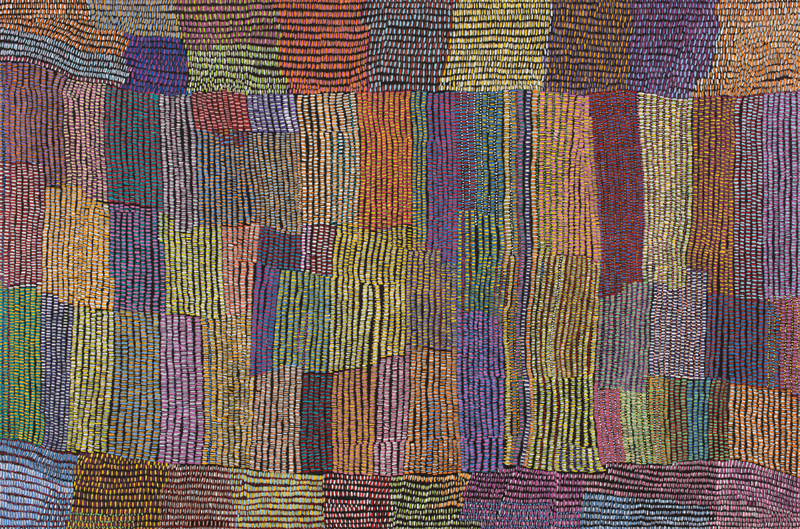 Kunoth Pwerle’s earliest works show a clear debt to his parents’ observational style. And yet, as Kunoth Pwerle gained confidence as an artist, he quickly abandoned their astute attention to detail in favour of a plastic freedom. As his parents’ work became more detailed and naturalistic, Kunoth Pwerle’s sculptures became more abstract, dispensing with all unnecessary representational elements. Compounding this move towards a sculptural abstraction, Kunoth Pwerle’s works have more recently developed a painterly dimension that further distances any suggestion of naturalism. Drawing upon the broad gestural brushstrokes and overlapping dot-work that has characterised Utopian painting, Kunoth Pwerle’s use of paint often seems less about defining the form, than highlighting its very objecthood. 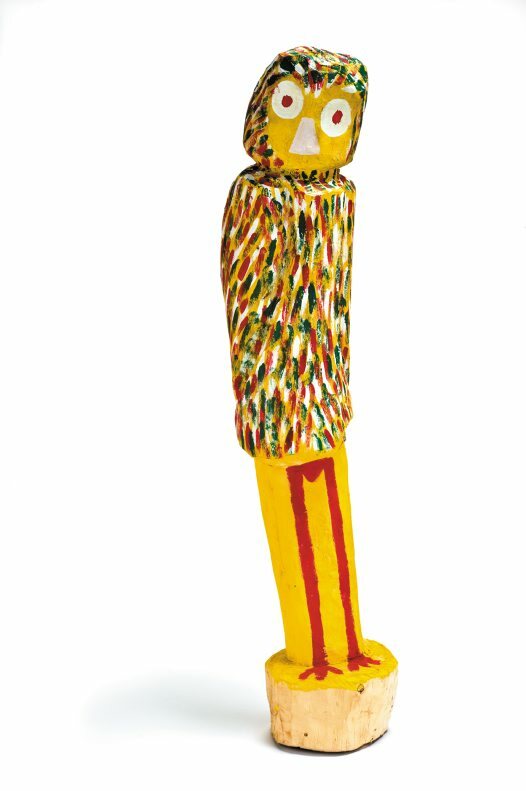 At times, Kunoth Pwerle’s paintwork seems to allude to the ceremonial body painting tradition, further highlighting the totemic nature of the object. At other times it seems to almost camouflage the form, as though the sculptural object was no more than a sounding board for a painterly experiment. And yet, whilst Kunoth Pwerle’s sculptures push referentiality to its very limits, they maintain a confidence in their connectedness to the landscape, defiantly foregrounding the link between his modernist project and his Anmatyerre homelands. 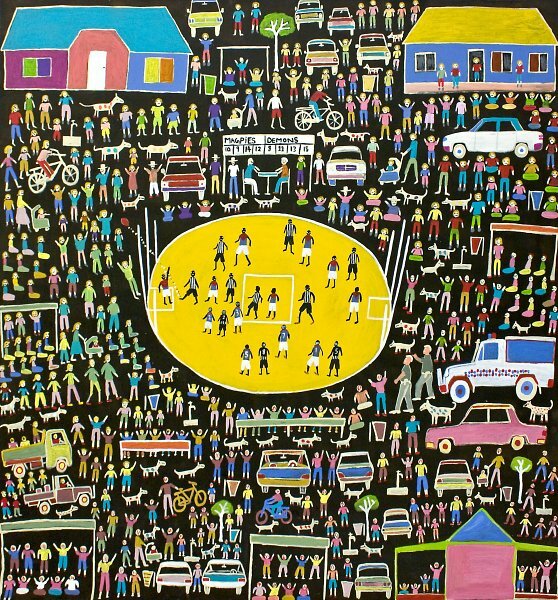 Patrick Kunoth Pwerle was born at the dawn of the Utopia art movement. 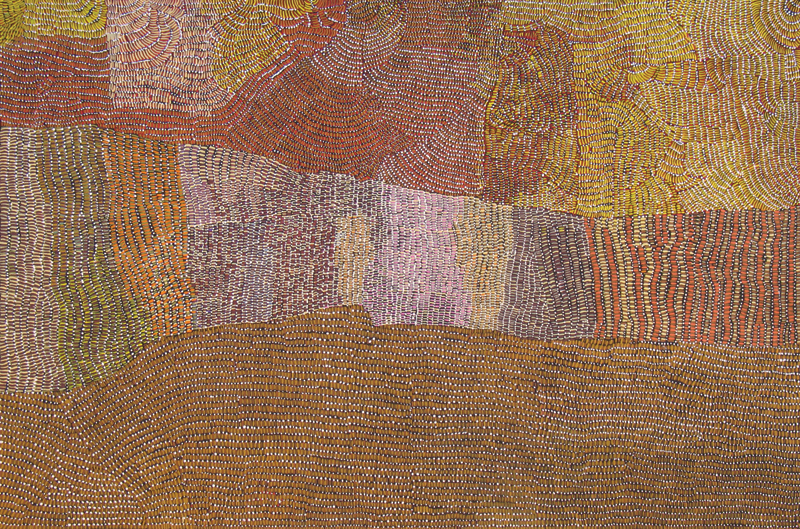 If artwork has been one of the principle fields upon which Indigenous Australians have engaged with the wider world – through which they have bridged the tribal and the modern and showed their traditions to be both contemporary and relevant – then Patrick Kunoth Pwerle has grown up at the frontier of this exquisite intersection of Indigenous cosmology and modernity. His work offers us a way to look beyond these rigid binary positions and see the very possibilities of a Utopian modernism.